ISDA rules Greek use of CACs is a credit event. Credit default swaps triggered. 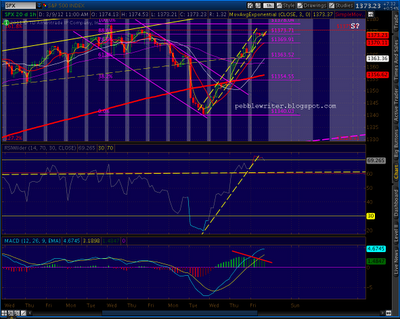 Updated VIX charts, as requested. 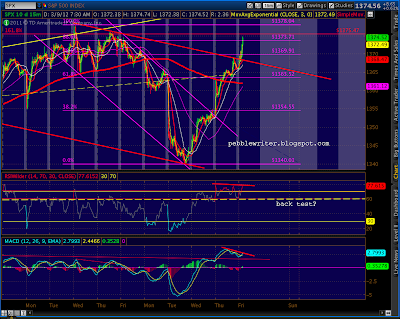 Note we made the tag on the RSI TL as discussed last night. There appears to be a slight overshoot — as is also present on the SPX back test — which makes me think the candles setting up will close bearish. 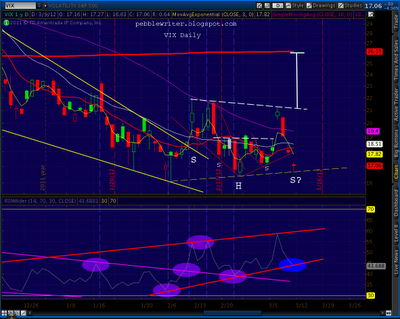 VIX is ripe for a break out; next stop 26. Watching paint dry here at the .786 I mentioned earlier… The 15-min chart has a channel that could go on forever except for the fact that the RSI has broken a trend line and is showing negative divergence. 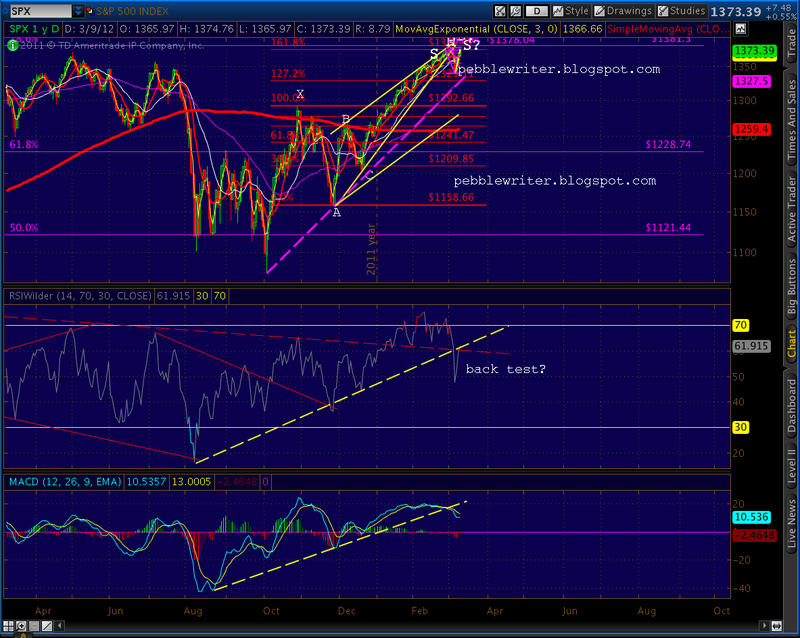 Too soon to be definitive, but it might be an early signal of the trend fizzling. It supports the look of the 60-min chart — which to these eyes is a potential break of the price and RSI TL’s, along with negative divergence on the histogram. 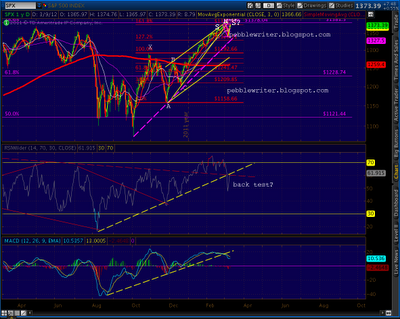 And, of course, the daily chart — which still looks like a big back test of the RSI TL and a broken MACD TL to me. None of this is definitive, yet, but I’m going to add a little to the shorts (200 FAZ and 100 UVXY) and close out my FAZ puts for a nice gain. 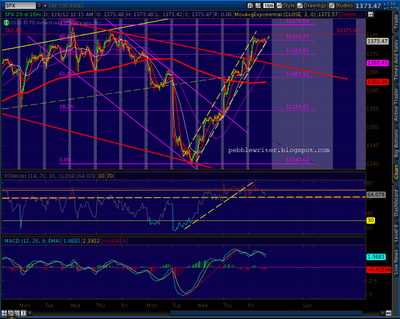 SPX going where the Euro fears to tread, pushing 1373. 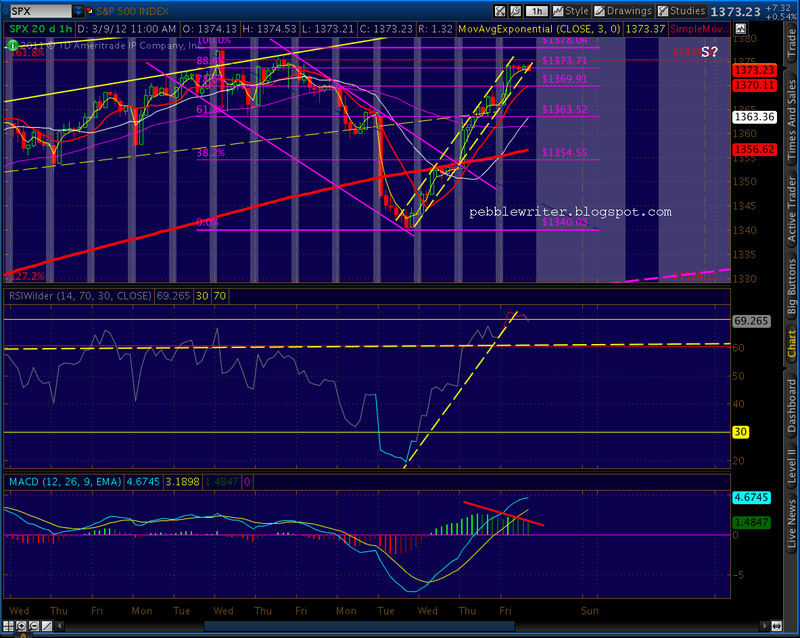 Just a reminder, the .886 retrace of the decline from 1378.04 is 1373.71. 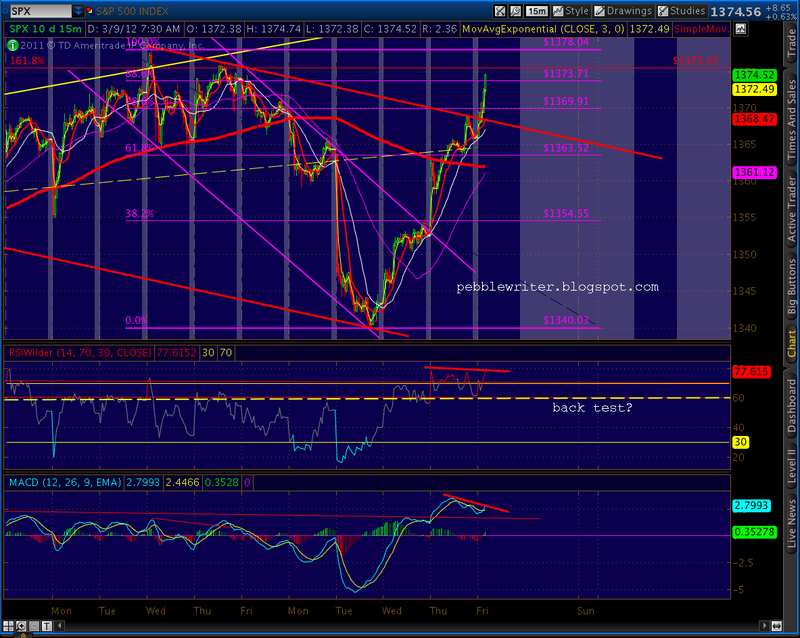 There’s sort of a Bat pattern if you count yesterday morning’s opening surge as Point B. It was just shy of the .618. 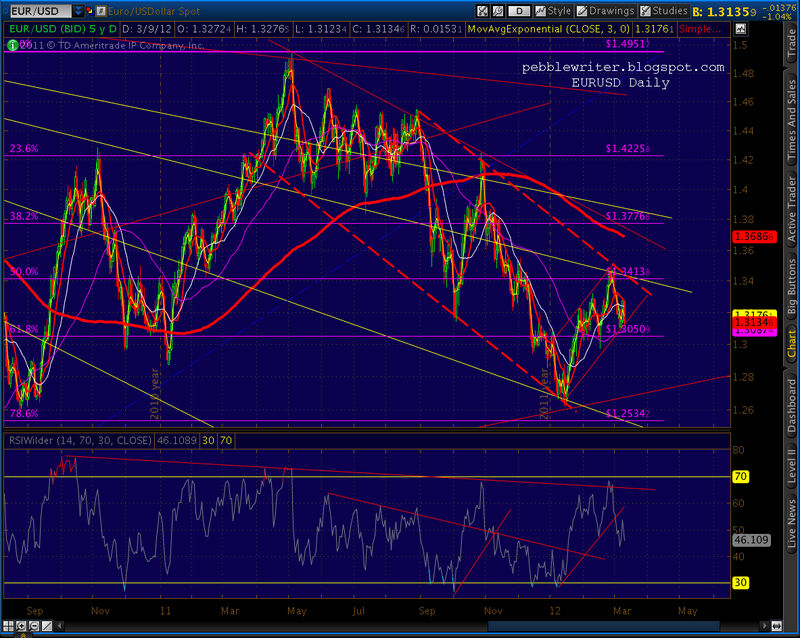 Just above 1373.71 is the 1.618 from the recently completed Butterfly pattern @ 1375.47. This is the big reaction to the salvation of the euro zone? Thank goodness it didn’t go badly… That’s a genuine RSI back test and reversal. Next likely step is down. Employment report out this morning. Generally considered a beat of expectations. A little too close to the previous low for my tastes, but so far so good. With the way things are going lately, I'm not completely comfortable being long or short over a weekend – LOL. Have a good one. 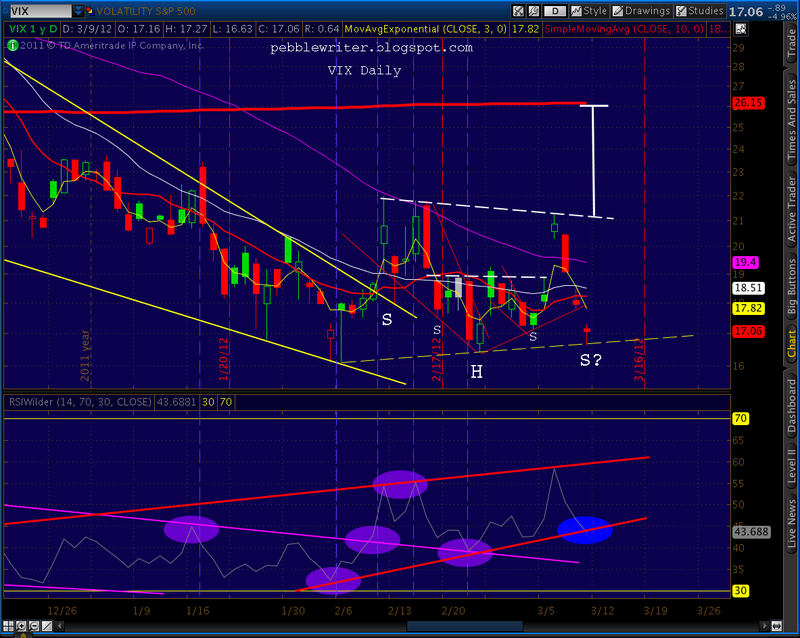 PW, thank you for the VIX update. 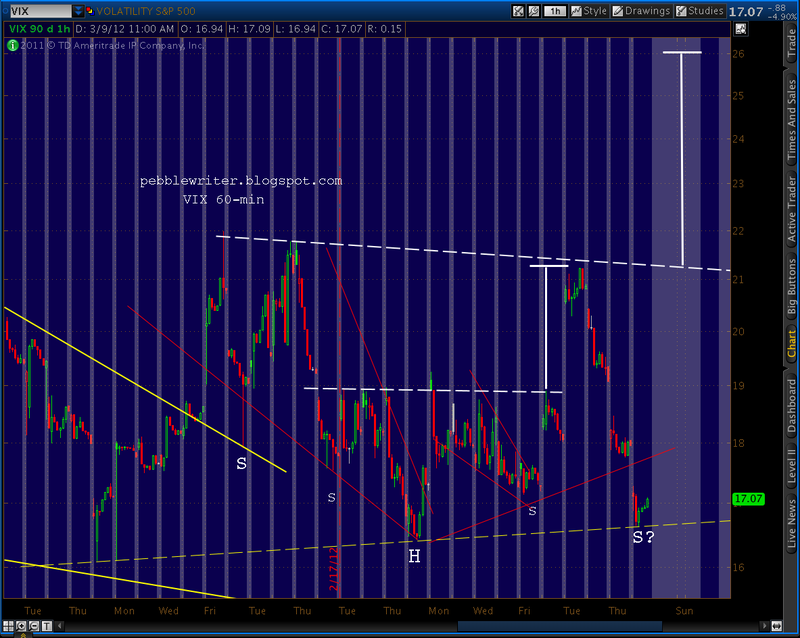 Looks like your TA on VIX from yesterday played out exactly, VIX bounced nicely once it touched the line. Market reaction to the Greece situation seem rather muted, it almost felt like it wasn't allowed to drop. But who in the world would want to be long going into this weekend with still so much uncertainties? I guess someone who has deep pockets can do that. Have a nice weekend. patience, grasshopper. this has the feel of the calm before the storm. I certainly hope you are right. It does look like a diamond pattern. 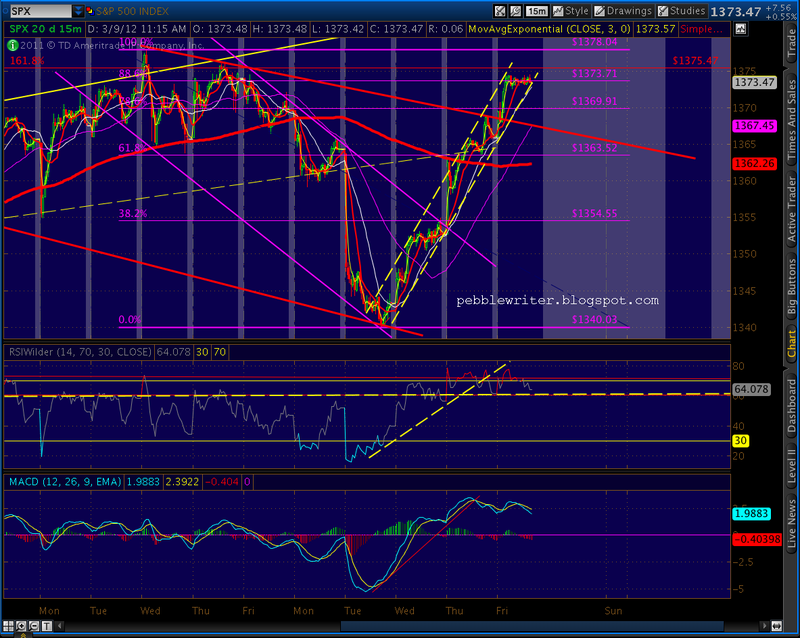 All gaps have been filled on the VIX, maybe it's time to launch!! 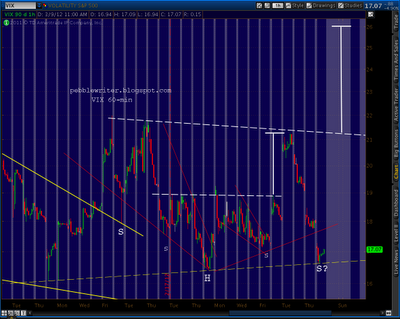 I've never been that good at recognizing chart patterns, but it looks like the VIX may be in a diamond bottom. Breaks upwards 69% of the time. What a horrible day, it feels like dow is +450pts.